Ever let you child (we’re talking under 7 years old) handle your beloved iPad? You remain very close, on guard, ready to stop it from being dropped. You want your young one to have fun and begin their own personal tech obcession…but at the end of the day it’s a $500 plus item, not really built for children. Maybe you don’t have kids like me but you’re a groofy accessory geek for your tech products. I like things that make me smile and gives people around me a giggle. 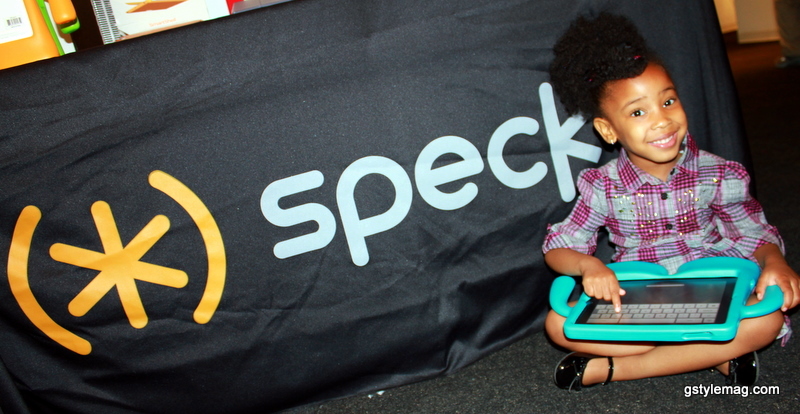 Solution: Speck’s iGuy for your iPad. I had the original iGuy back in 2004 for my iPod classic. He was a white character reminding me of the giggly Phillsbury guy. You put your iPod inside him and you were ready to rock out. Now Speck has reintroduced him for your iPad. It’s the funniest iPad case on the market. Even more it’s perfect for use with children. 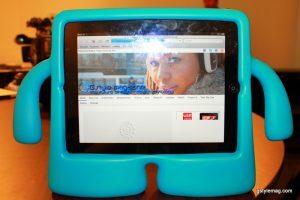 iGuy is a free-standing kid-friendly iPad and iPad 2 case made of lightweight foam protection with plenty of personality. You place your iPad inside of him and then you’re ready to go. All the plugs are uncovered so you can plug him in, get to sound controls and use headphones while iPad is inserted in case. He comes in three colors, green, blue and orange. I like the blue the best, he reminds me of Gumby. I did recently get some looks but a lot more laugh at the last CE Week in NYC when I carried him around. He is the perfect ice-breaker at events because he brings out the child in all of us. What I did learn though is unlike the original iGuy, this new one isn’t really great for commuting but more for home or office use. He is kinda big and bulky in your bag. This is a great gift for a geeky but fun accessory collector and even better for a parent with small children. We even got time to see how it holds up with a four year tech lover. iGuy works with your iPad or iPad 2.